Where: Tecate, Mexico Why: tucked away beneath a mountain, this wellness and fitness resort includes TRX, hikinh, yoga, meditation and reflexology, as well as healthy cooking courses using ingredients from the resort’s organic garden! Where: Malibu, CA Why: This luxurious boot-camp-intensity-level resort is for those brave souls seeking a full body detox. 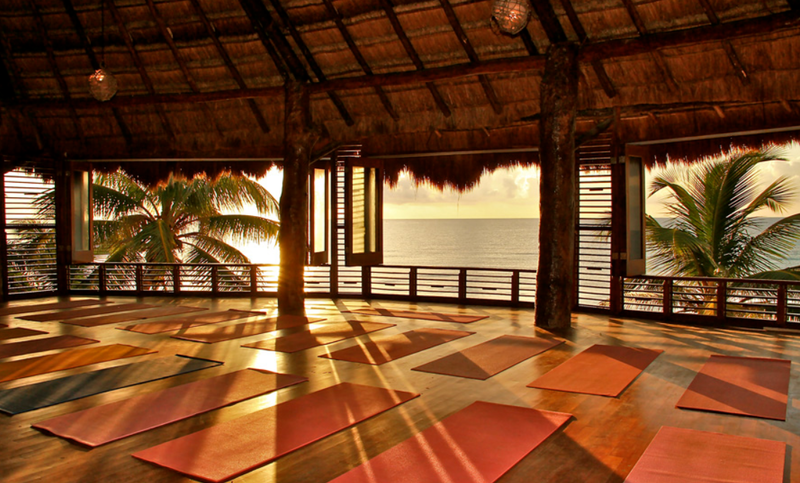 The resort not only includes great fitness classes and massages, but also a gormet gluten-free and vegan menu free of sugar, alcohol, and caffeine. Where: Tulum, Mexico Why: The gorgeous beaches of Tulum invite you to a majestic retreat with typical fitness classes as well as snorkeling and kiteboarding. All of the packages include meals and massages!